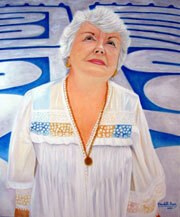 Longtime Grand Bahama resident, Barbara Chester, who brought the community together to create The Grand Bahama Labyrinth—a sacred and spiritual gathering place of contemplation and walking meditation—has been honored with the placement of her portrait, painted by local artist Claudette Dean, installed in The Garden of The Groves’ replica of the island’s first chapel, atop a spot overlooking the healing plantings, trees, and statuary surrounding the entrance to The Grand Bahama Labyrinth. Freeport, Bahamas - This invitation is brought to you with great Love, Honour, and Joy by Angelika Christie and the Grand Bahama Labyrinth. Please join us as we celebrate the Birthday of a New World Age, and the arrival of the new Aquarius Zodiac Cycle on Saturday, December 22nd at 11:11 AM on our beautiful Labyrinth in the Garden of the Groves. 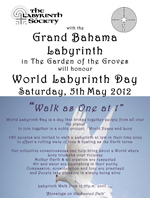 Freeport, Bahamas - “Walk as One at 1” will be held at he Grand Bahama Labyrinth in The Garden of the Groves in honour of World Labyrinth Day on Saturday, May 5th, 2012 at 1pm. to join together in a noble project; World Peace and Love. 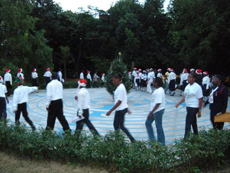 Freeport, Bahamas - The Grand Bahama Labyrinth invites you to "Joie de Noel: A Joyful Celebration of Christmas" - Focusing on Love, Healing & Peace throughout the World on Friday, December 23rd, 2011 at 6.30pm on The Labyrinth at Garden of the Groves. In a magical setting, listen, watch and sing Carols with friends old and new! And Our Living Tree of Christmas, Lady Acacia and a Peace Flame for Christmas Wishes! Freeport, Bahamas - The following is a message from Barbara Chester of the Grand Bahama Labyrinth: The situation in Japan, now with regard to the contaminated water, is become dire. 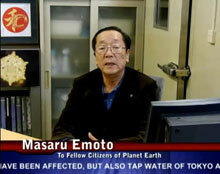 Even the tap water in Tokyo is affected. This is a situation affecting all mankind and all creation. Freeport, Bahamas - On March 20, a prayerful meditation and walk for Japan took place at the Garden of the Groves on the Grand Bahama Labyrinth. Mrs. Barbara Chester, Founder of the GB Labyrinth subsequently received and wants to share a beautiful, inspiring and very generative email from Yuka Saionji from the Goi Peace Foundation, who lives in Tokyo with her family. She told the gathering, “Today, the Spring Equinox has been appropriately chosen for special Prayer Walks to take place on all Labyrinths around the World..."
Freeport, The Bahamas - Last Friday afternoon, Japan suffered an 8.9 earthquake followed by a devastating tsunami. Several thousand people were reported dead, tens of thousands missing and the threat continued with at least one nuclear power plant in danger of a meltdown. Freeport, Grand Bahama - On March 8th, the 100 anniversary of International Women's Day, a small group of women, men and children in The Bahamas met at the Labyrinth at the Garden of the Groves to commemorate the occasion by sharing in a drink, some words, and then gathered for a photo on a small bridge within the Groves to assist in the call for an end to war and to demonstrate the bridge of peace and development for the future. 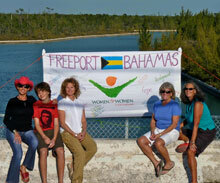 Freeport, Grand Bahama - 2011 International Women's Day is March 8th. 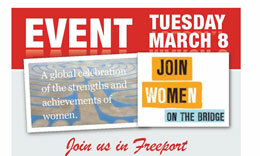 You are invited to participate in Join Women on the Bridge. On this day, thousands of women (and men) worldwide will gather on bridges to call for an end to war and to demonstrate that we can build the bridges of peace and development for the future. We hope you'll join us in this social gathering on the Grand Bahama Labyrinth at the Garden of the Groves Tuesday, March 8th from 5:30pm to 7:30pm..
Freeport, Bahamas - On February 25th and 26th Grand Bahama’s Dutch Diva, Marjoke Muller and her friends once again brought Song and Dance to the Labyrinth at the Garden of the Groves, the heart of Grand Bahama Island. This magical twilight garden has been further enhanced by additional diffused lighting illuminating the beautiful trees and shrubs. Last year over 20,000 people took part in the first ever global Join Me on the Bridge campaign with 119 events including in Afghanistan, the Democratic Republic of Congo, Kosovo, Canada, the United States and The Bahamas. Freeport, Bahamas - The Grand Bahama Labyrinth presents Marjoke and Friends next production of Around the World in Song and Dance on Friday, February 25th and Saturday, February 26th. 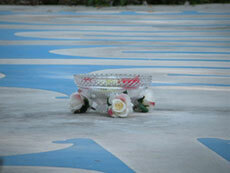 Both performances start at 7pm on the Labyrinth. Enjoy a multicultural taste of songs and dance from around the world with mini-cine and after show dancing for the entire family. Tickets are available at the Garden of the Groves gate house.